Nice review. In my mind, it’s better than the first. I enjoyed the first a little more, but there isn’t much in it. Thanks Dan. Great review! Looking forward to catching this! Thanks Zoë, hope you enjoy it. You hit it on the head at the end there man, the human component. 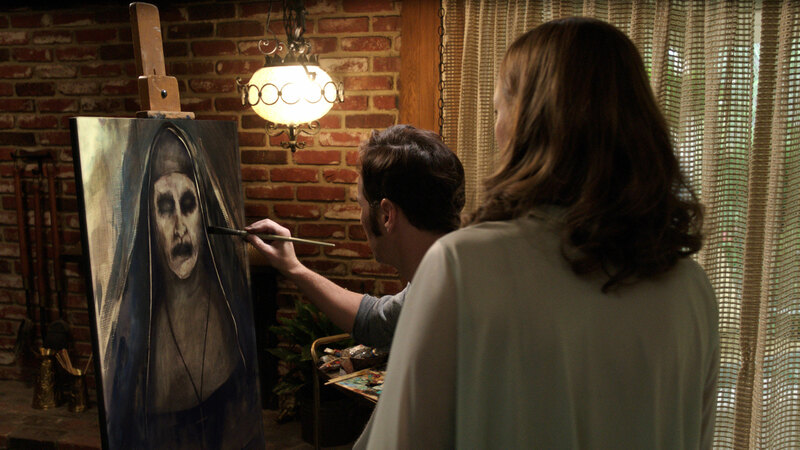 It’s why The Conjuring is built to maybe last another episode (or even two) but spin-offs based around inanimate/possessed objects/creations will dive straight into boring, cliched messes. I look at this as the product of three people doing incredible work (though no offense to everyone else who puts their time in, the cinematographers certainly should be called out by name): but really this is James Wan, Patrick Wilson and Vera Farmiga’s show. Those three I lean on for substance. They didn’t let me down in The Conjuring 2. And how freaking cool is that title crawl at the beginning? I can’t remember if that’s how it was in the original but man, for some reason that got my hairs standing up on end! Me too! The title crawl really spooked me, it’s presented so matter-of-factly. Totally with you regarding Wan, Farmiga, and Wilson. All three take the material seriously and go that extra mile within a genre that isn’t always treated so well. I’m looking forward to a third instalment providing those three are involved, but like you I could do without the spin-offs (though the Nun is scary). The nun is far creepier than the Annabelle doll. So I thought anyway. I should reserve judgment until it’s actually out of course, too. Could be a fun one.